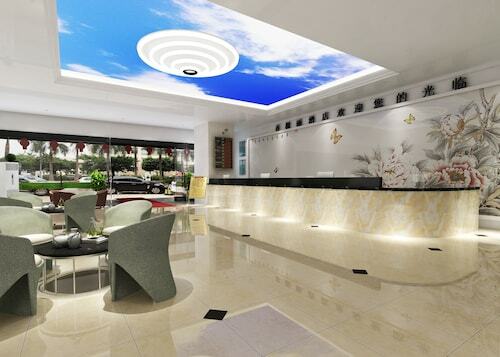 See all 104 properties in Baiyun Intl. 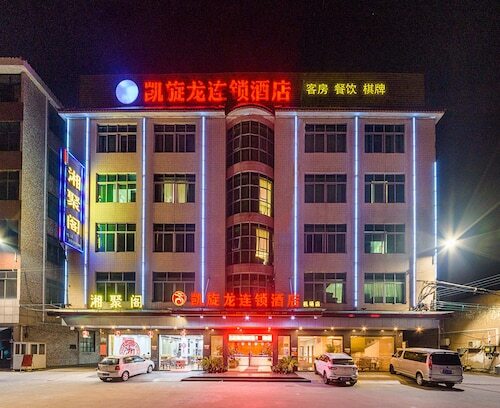 Situated near the airport, this spa hotel is within 9 mi (15 km) of Guangdong International Rowing Centre, Ma'anshan Park, and Huadu Sports Centre. Huadu Hongxiuquan Former Residence and Baiyun Mountain are also within 16 mi (25 km). Airport South Station is 8 minutes by foot. 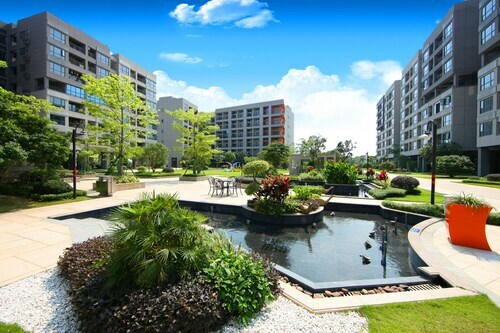 Situated in Guangzhou, this apartment building is 9.2 mi (14.8 km) from Huadu Sports Centre and within 20 mi (32 km) of Yuexiu Park and Tropic of Cancer Tower. Baiyun Mountain and Big Hippo Water World are also within 20 mi (32 km). 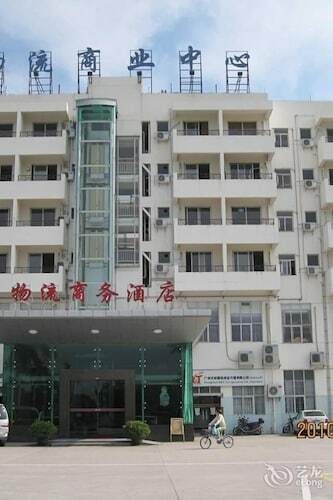 Situated in Guangzhou, this hotel is within 12 mi (20 km) of Guangdong International Rowing Centre, Ma'anshan Park, and Huadu Sports Centre. Huadu Hongxiuquan Former Residence and Guangzhou Tropic of Cancer Landmark Tower are also within 16 mi (25 km). Airport South Station is 18 minutes by foot. 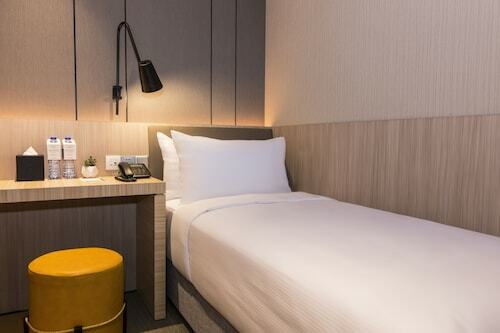 Situated in Guangzhou, this hotel is within 9 mi (15 km) of Guangdong International Rowing Centre, Ma'anshan Park, and Huadu Sports Centre. Huadu Hongxiuquan Former Residence and Baiyun Mountain are also within 16 mi (25 km). Airport South Station is 18 minutes by foot. Situated in Guangzhou, this hotel is within 9 mi (15 km) of Ma'anshan Park, Guangdong International Rowing Centre, and Huadu Sports Centre. Huadu Hongxiuquan Former Residence and Baiyun Mountain are also within 20 mi (32 km). Airport South Station is 9 minutes by foot. 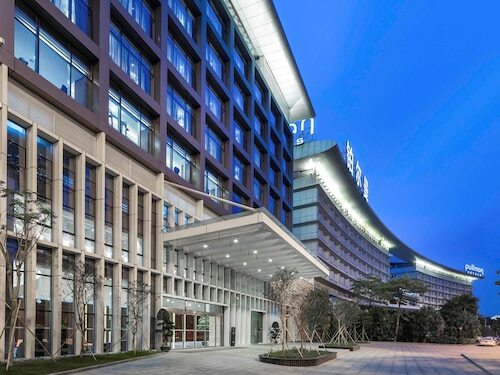 Situated in Guangzhou, this hotel is within 9 mi (15 km) of Ma'anshan Park, Guangdong International Rowing Centre, and Huadu Sports Centre. Huadu Hongxiuquan Former Residence and Baiyun Mountain are also within 20 mi (32 km). Airport South Station is only a 1-minute walk. 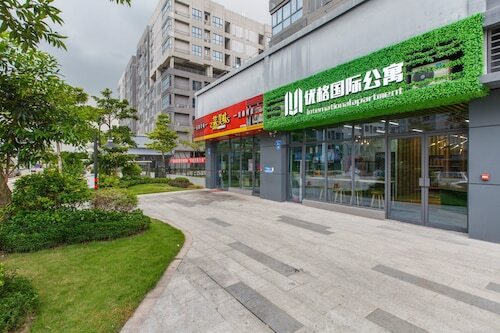 Situated in Guangzhou, this hotel is 6.8 mi (10.9 km) from Huadu Sports Centre and within 20 mi (32 km) of Baiyun Mountain and Guangzhou Gymnasium. Big Hippo Water World and Huadu Pan'gu Temple are also within 20 mi (32 km).